A carbon filter is often the most optimal choice to remove gas and odor. Our carbon filters are especially suitable for odor removal. They have a very high efficiency, and a very low demand for maintenance and inspection. The installation is simple. When conditions are right, and you choose the right type of filter medium, you can obtain a very high efficiency at a very low cost. A carbon filter works by leading the pollutant gas slowly through a layer of active carbon. The carbon is formed so that it has an extremely large surface that attracts odor and pollution. Some applications use carbon that has been added with Sodium Hydroxide, acid or catalysts. The pollutants stick to the surface of the carbon, and the gas is cleaned from pollutants and odor. When do you choose a carbon filter? A carbon filter often has a very high efficiency and should be chosen when there is a demand for a high removal rate. A carbon filter is especially well suited for odor removal and other compound gases with low concentrations. 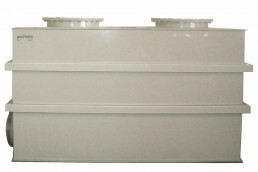 The filters can be constructed small and compact, and should be used on low gas flows. The smallest carbon filters can be delivered with an integrated fan. Carbon filters have many applications, and are found in most industries. Designated as BAT in a number of sectors. By choosing the right type of filter medium, carbon filters can be used in a large number of applications. The list below shows only a few of those applications. Carbon filters work well when removing odour from sewage, and can be built so small that they fit into pumping stations. We deliver filters with a built-in fan for simple placing and mounting to pumping stations. H2S in biogas is often a problem for gas engines. With special filter mediums, we can selectively remove H2S from the gas flow, which makes the gas better fit for energy production. When cleaning wastewater, there are many processes which produce odors. Handling sludge is particularly odor intense. Odour from sludge is handled effectively with carbon filters. Carbon filters can be built in small sizes and handle variation in gas flow. They are well suited for cleaning gas from tank ventilation. We have good experience in using carbon filters in those applications. 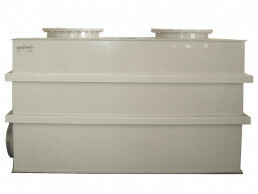 Carbon filters are also used for odor reduction in most wastewater treatment plants. A removal rate of 99% is achieved. All odor from dirty zones can be cleaned with carbon before it is released into the atmosphere. We deliver a special type of carbon filter which is better suited for removing odor from fish oils and fish silage. These are normally applied to tank ventilation and small gas flows. 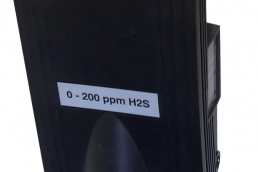 When distinctive pollutants are present, there are demands for a special kind of filter. We deliver filters which catch and clean sour gases like hydrochloric acid, HCl. We deliver carbon filters in several alternative embodiments. The filters can be round or rectangular, and they can be produced in PP, composite or steel. Rectangular filters are easier to fit, and they utilize the space better than round filters. We deliver rectangular filters in PP combined with steel. Plastic has a superb chemical durability and steel provides the necessary strength. Small rectangular carbon filters for wall mounting. 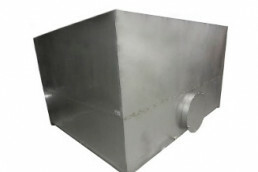 The filters can be supplied with an integrated fan for easy mounting. We deliver carbon filters in different kinds of stainless and duplex steel like: 1.4404, 1.4436 og 1.4462. The filters are robust with a long durability. All filters are delivered on trucks, and ready to install. Maximum diameter for normal international transport is 2500mm. 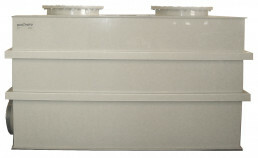 If a larger capacity is needed, rectangular filters divided into several modules adapted to transportation can be delivered. A carbon filter demands little or no automation to work properly, and maintenance is often planned on regular stops. This works well when the load is constant and the demand for cleaning is stable. If it is not a variable load or demand for cleaning, supervision and process control will give optimal operations and a better economy. 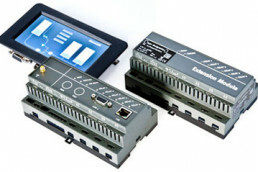 It can be connected to sensors for H2S, temperature and humidity or a weather station for process control of the cleaning process. The unit can deliver a process signal to local equipment. We deliver gas sensors for logging of the gas concentration in and out of the filter. Thus, the filter can be utilized to the maximum before the carbon is swapped. Carbon filters are often used to remove odor. Odor reduction is normally required when someone is exposed to the odor. 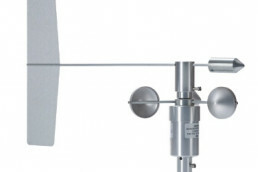 By connecting to a weather station, a maximum utilization is achieved. 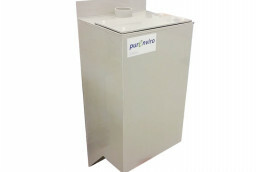 Purenviro delivers active carbon of all kinds. For odor and gas removal, an extruded carbon is normally used. It has a low pressure drop, lesser energy consumption and produces lesser dust. We can deliver carbon of the same size but with many different chemical properties. That’s one way to improve the removal rate or economy without changing the pressure drop or the fan. We deliver both normal and impregnated carbon.